Is a jumbo mortgage right for you? How much should you pay? In this post, we’re breaking down 12 facts to know about jumbo mortgage rates. Have you ever heard of “jumbo mortgage rates”? It’s likely that the average American has not heard the term, because it would not apply to them. However, it looks like you now find yourself in a position to need to learn all about jumbo mortgages and jumbo mortgage rates. So let’s work to demystify the mumbo-jumbo. 1. During the housing and credit crisis of 2007 and 2008, the jumbo loan almost went away, not only because they were too risky for creditors, but because the interest rates and credit standards were too high for most people to meet. According to the San Diego Union-Tribune, jumbo loans were most popular during the housing boom that came shortly before the Recession. Jumbo loans are called “jumbo loans” because they go beyond the limit lenders are typically willing to buy. Jumbo mortgage rates was out of the question for a lot of buyers. Currently in South Florida, home prices are higher because there are not enough houses to meet demand, The Real Deal reports. But, fewer borrowers are defaulting on their loans. All of this means that lenders feel safe making jumbo mortgage rates accessible to more people again. 2. After about $420,000 a home loan and its mortgage rates has its own rules–they become “jumbo” loans and “jumbo” mortgage rates. The amount at which a loan qualifies as jumbo varies by county, but $417,000 to $421,000 is average. Because these larger loans need their own rules, they’re referred to as “non-conforming,” as opposed to standard 15 and 30-year loans which are “conforming–and what most people have. With a conforming loan, either Fannie Mae and Freddie Mac buys the loan after closing. The rules lenders have to follow are dictated by the Federal Housing Finance Agency (FHFA). However, when a loan exceeds a certain amount that $417,000 to $421,000 figure, varying by location, Fannie and Freddie won’t buy it because it’s a higher risk and federal law limits the size of loan they can acquire. Do I Need a Jumbo Loan? Can I Get One? 3. The difference in interest between 30-year mortgage rates and jumbo mortgage rates is not a lot–maybe 1/10th of a percent. But since the jumbo loan is for many more thousands of dollars, that 1/10th adds up fast. 4. Because the loan is much larger than most regular loans, your credit has to be in excellent standing for you to get one–that is, a credit score between about 650 and 720, though the Home Buying Institute says there’s no fixed number. 5. The bank will lend up to 80% of the home’s value. 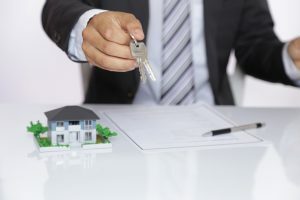 There is no insurance for banks on a jumbo mortgage, so lenders are very cautious, which means they’ll scrutinize you much more closely in considering you as a contender for jumbo mortgage rates than if you were applying for a regular mortgage. 6. However, a bank that will lend up to 80% of a home’s value, especially for multi-million dollar homes, will ask for anywhere between a 25 and 40% down payment. That’s a lot of cash. As with every other major investment, there’s much more to it than the initial cost. 7. Most jumbo mortgages rates are adjustable rate mortgages. In fact, to make the adjustment predictable, the government created the 5/5 ARM, which changes every five years. The 5/5 is not available on investment properties. There’s also a 7/1 adjustable rate, which stays the same for the first seven years, then changes. A variety of options are available, just ask your lender. When dealing with adjustable jumbo mortgage rates, be sure to ask your lender if there’s a lifetime cap so that the interest doesn’t creep higher and higher over the life of the loan. 8. Monthly payments can’t be more than 38% of your total, pre-tax income. The traditional, conservative recommendation is that housing payments, whether they be payments on a rental or payments on a jumbo mortgage, not exceed 25% of your monthly income. Do what you can to keep it closer to 25% than 38% for your own sake. 9. You’re most likely to qualify for a jumbo loan if you have savings that total two to three months of your income. The lender or broker will also look at your debt-to-income ratio, which should not exceed roughly 43%. 10. According to the FDIC, qualifying for a jumbo loan will sometimes require two appraisals on the property rather than one. Each appraisal must be conducted by an independent agent. Another cost! But two appraisals will cover your and the lender in the long-run, making the investment less risky for each of you. 11. The lender you’re dealing with has his hands tied as far as what qualifies for jumbo loan rates and what does not. Your local bank can’t do anything about it if you were expecting or hoping that the properties you want would qualify for jumbo mortgage rates. 12. Because jumbo and super jumbo loans are large by definition, sometimes they can be split into a first and second mortgage–just make sure that the total interest rate is lower than what it would be without splitting it that way. Again, if you’re interested in this arrangement, ask your lender or broker. If you’re over 62-years-old and are interested in a reverse mortgage, you’ll be glad to know that you may still be able to benefit from a reverse mortgage, even if you’re purchasing a home that falls under jumbo mortgage rates. The main prerequisites are that you either own your home outright, or your monthly payments are very low, as defined by your bank. If the balance of your mortgage is over $400,000, you might not qualify for a traditional reverse mortgage, but ask your broker because a reverse mortgage has many benefits that go with one. That’s good news for seniors who are looking to live in high-end condos! Additionally, seniors can use reverse mortgages for long-term care, travel, extra insurance–just about anything they want! And you most likely won’t have to pay taxes on the proceeds from the reverse mortgage. The VA doesn’t place a maximum on the cost of a house that will still qualify for a VA loan. If a veteran is seeking jumbo mortgage rates on one or more properties, the VA’s process will work in a way similar to any other VA loan. “With a $500,000 home, the veteran is required to bring in 25 percent of the amount over and above $417,000. The difference is $83,000 and 25 percent of $83,000 is $20,750. The VA will guarantee up to 25% of the $417,000 limit. If you would like to investigate the difference between various kinds of loans, USMortgageCalculator.org presents a very useful comparison between FHA, VA, conventional, jumbo, and USDA loans. We haven’t even touched on what a jumbo loan does to your taxes. Fun fact, interest on jumbo loans up to $1 million are tax-deductible. If you’re looking at properties requiring jumbo mortgage rates or if you have questions about any of the above information, call for guidance.